Slotastic Casino has been operating since 2008 and in that time has gathered a devoted following. RTG, one of the oldest and most reputable software providers, is the company that supplies the games and all other software. Here users are treated to a large selection of slots, table games and video poker titles, as well as several progressive jackpots. The games can be played either via the downloadable desktop client or the instant play interface. The best thing about RTG games is that they run smoothly without issue and any computer configuration can handle them. Apart from the excellent games selection, this casino has many other perks. 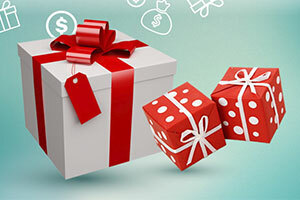 The Welcome Bonus is generous, allowing you to claim up to $300 in bonus funds and 117 Free Spins on your first deposit. Coupled with the limited-time promotions, which reward you with addition match bonuses and Free Spins, it seems the casino is dedicated to giving back to players at every turn. In order to claim such as bonus, you have to first make a deposit. Rest assured knowing, that transactions are carried out in a quick and secure manner at Slotastic Casino. 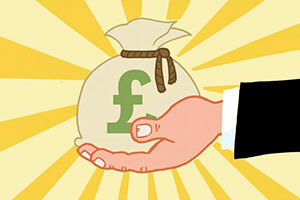 Here you will be able to utilize many of the popular services to send and receive funds. In the event that you have an issue that needs resolving or simply a question, then feel free to contact the casino’s customer support team. They are always on standby and can be reached immediately via the Live Chat system. There is also the option to communicate with an agent via telephone, email or Skype. 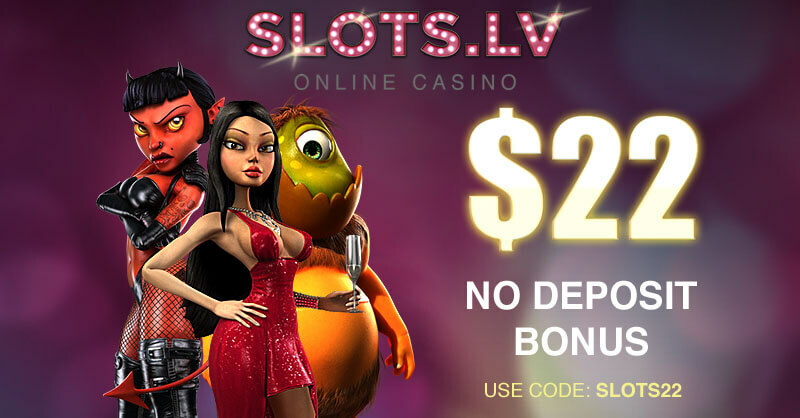 Online Since Slotastic Casino first went online in 2008. Minimum Deposit/Withdrawal The casino has not specified a minimum deposit or withdrawal amount, however withdrawals are limited to $10,000 per week. 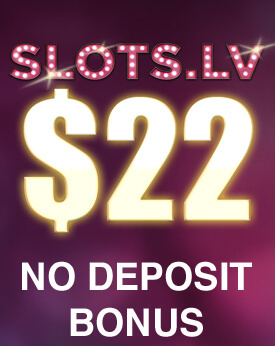 No Deposit Bonus At the time of this writing, Slotastic does not offer any no deposit bonuses. Welcome Bonus The Welcome Bonus at Slotastic Casino consists of a 150% match bonus up to $300, as well as 117 Free Spins, if you deposit a minimum of $25. A code must be entered to claim either of these. Regular Bonuses Apart from the Welcome Bonus, Slotastic Casino offers limited-time promotions and bonuses. These change on a weekly/monthly basis and, typically, consist of match bonuses and Free Spins on selected titles. Loyalty Programme Everytime a bet of $10 is placed you earn 1 Comp Points. Comp Points can be redeemed for cash at a ratio of 100 Comp Points = $1. The minimum amount of Comp Points that can be redeemed is 100. VIP players earn Comp Points faster depending on their standing with the casino. Software Slotastic is supplied by RealTime Gaming. This company has been in the industry for nearly two decades, having been founded in 1998. Its games are featured at many online casinos and fans and critics alike have praised it. Popular Jackpots At Slotastic you can play several progressive slots and table games. The jackpot selection includes titles such as Let ’em Ride, Jackpot Pinatas, Aztec’s Millions, Shopping Spree II and more. Game Types The casino supports a good number of slots, which make up the bulk of the game selection. There are also table games, which include the likes of blackjack, roulette, casino poker, baccarat, red dog, etc. Live Casino The casino does not support a Live Casino of any kind. Mobile Casino Slotastic features a fully supported mobile version of its website. It can be accessed by any modern tablet or smartphone. Deposit Methods Slotastic accepts payments made via Visa and MasterCard; Skrill, Neteller and ecoPayz; Paysafecard. For South African players there is also the option to use EasyEFT. Currencies USD is the only currency accepted at Slotastic Casino. Languages The casino’s website is only available in English. Support Here you can contact the support team at any time of the day via email, telephone, Live Chat, or Skype. Licenses The operator, Orange Consultants Ltd. is licensed by the Government of British Virgin Islands. 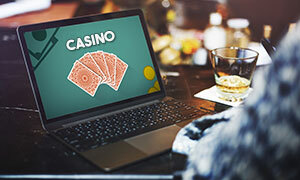 When it comes to online gambling, there are several key factors that make a certain online casino a great destination for virtual players. This is why Slotastic has made sure that any of its members will be able to enjoy their time gambling online. 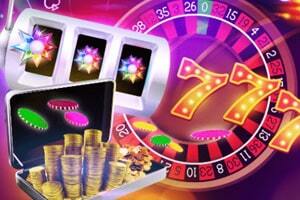 As a result of the online casino’s desire to please its patrons, it has provided a wide range of various games. Thanks to the gaming library at Slotastic, players can experience various fun and lucrative adventures that will provide an abundance of exciting casino games. Due to the fact that the games at Slotastic run on the software platform of RealTime Gaming, virtual players will be provided with high-quality, fun and lucrative games. 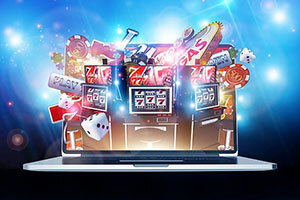 If you are eager to try the games of Slotastic, you can simply log into your gaming account and you will have an instant access to the amusing and lucrative options that the virtual casino is offering. What makes Slotastic even a better destination for virtual players is the fact that it offers a mobile app that will allow Android players to enjoy their favourite games wherever they go. There is also a mobile version of the virtual casino that can run smoothly on various portable devices. 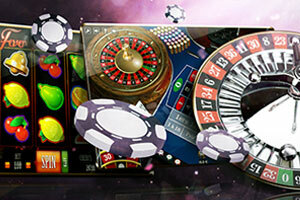 At this superb online casino, you will be granted access to more than 150 innovative, entertaining and rewarding slots. Thanks to the various options in this category, casino patrons will be able to revel in playing different slot games that have specific themes, special features and rewarding payouts. For those who are keen on classic slots, the virtual casino has prepared several variants who are inspired by the standard slot machines that are typical for classic brick-and-mortar casinos. This type of slots do not utilise any additional features but they still can provide great payouts that can significantly boost one’s gaming balance. Titles like The Three Stooges and Sevens & Stripes are some of the popular 3-reel slots at Slotastic. 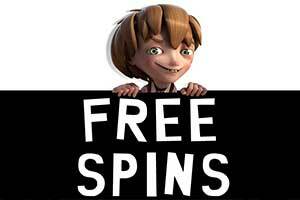 If you are seeking a more thrilling spinning adventure, you can opt for the video slots that offer more reels, multiple variants to be paid and bonus rounds that can reward players with great prizes. Some of the most popular games in this category include Ancient Gods, Lucha Libre 2 and a handful of other fun slots. The name of this virtual casino is no coincidence and virtual players can be sure that their spinning experience at Slotastic will be accompanied by some of the most innovative, entertaining and rewarding slot variations. 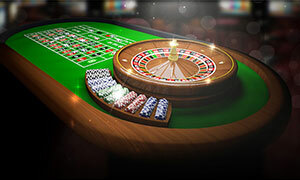 It is no secret that roulette is one of the most popular games at land-based casinos around the world. This is why it is no surprise that online players will also be presented with the opportunity to play roulette. At Slotastic, fans of the classic table game will have the chance to explore different variants of roulette which will transfer the excitement of chic brick-and-mortar casinos into players’ homes. It really does not matter whether you prefer playing European roulette, French roulette or the American version of the table game. You will find an option that utilises the rules of each of these three options. Thanks to the gaming developer that has powered the games in this category, roulette fans can enjoy an authentic, fun and even lucrative real-money gambling online. To make the entire experience even more gripping the virtual casino also offers Multiplayer Roulette. Thanks to this version of the classic game, players have the chance to join other roulette enthusiasts and interact with them just as they would at any roulette table at a land-based casino. As you can see, Slotastic has made sure that any type of roulette fan will be happy with the options provided at the web-based casino. Whether you enjoy playing on the less risky European and French versions of roulette or you are sure that you can win on American roulette, you can find everything you are looking for at Slotastic. If you are interested in the game of 21, then you will definitely appreciate the gaming selection of Slotastic. Although the virtual casino is known for its fun slots, there are also plenty of blackjack variations available for interactive players. Casino patrons will have the chance to choose the game that will suit their taste the best. If you are looking for an option that offers the classic blackjack rules and the typical entertainment you would receive at land-based casinos. You should give Blackjack and European Blackjack a try. If you decide to play either one of these games, you will enjoy a gameplay with the standard rules and table layout that can be seen at any classy brick-and-mortar casino. For those who are expecting a little more excitement from their online gambling, at Slotastic, there are plenty of blackjack variations that offer some additional wagering options. Titles like Super 21, Match Play 21, Blackjack + Perfect Pairs offer virtual players more interesting alternatives of the classic card game. 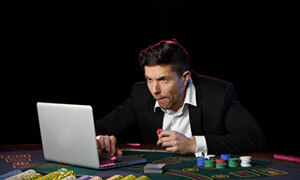 If you want to make your online gambling more exciting, you can also try games like Face Up 21, Pontoon or Suit’em Up. If you are interested in poker but you do not feel confident enough in playing for real money, you can always opt for testing your luck and skills on video poker. This genre of casino entertainment is a wonderful fusion of slot machines and classic poker. In a sense, the result of the game depends on the hand you are randomly dealt with, just like the reels on slots stop in unpredictable positions. However, by making decisions about your moves, you also affect the outcome of the game. At Slotastic you will be presented with various video poker variants that will allow you to enjoy your online gambling to the fullest. Thanks to the different titles available at this web-based casino, you will be able to explore your options and pick the game that will allow you to apply the best video poker strategy. This way, you will be able to enjoy your time at Slotastic to the fullest and probably win some pretty impressive payouts. 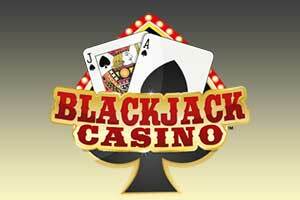 The interactive casino offers all typical variants such as Jacks or Better, Joker Poker, Deuces Wild, Aces and Eights, All American and many other rewarding and fun video poker games. If you, however, want to change up things, you can try variants such as Loose Deuces or Mystery Bonus Poker. Playing with deuces which act as wilds and having to match a bonus hand are just a few of the interesting options you will be presented while playing the video poker games at Slotastic. When there are many gaming options online but you wish for bigger prizes, you can always try your luck on progressive jackpot games. If you are a member of Slotastic, you will have the chance to win the constantly growing cash prizes of some of the hottest slots at the moment. You can test your luck on Aztec’s Millions which is the game that currently offers the biggest jackpot at Slotastic. If you are lucky enough you can change your life completely thanks to this progressive slot and become a millionaire in a single spin of the reels. You can also try sweeping the prizes of Jackpot Pinata, Cleopatra’s Gold and other fun and rewarding slots. If you are more keen on playing card games, you will also be presented with the opportunity to win a major prize by playing Caribbean Stud Poker, Caribbean Draw Poker, Let’em Ride or Caribbean Hold’em. Make sure that you are always making the maximum bet that is required for each of the progressive jackpot games at Slotastic. This is the only way you can be sure that you will be qualified for receiving the massive prize if you land the winning combination. Does Slotastic offer a Live Casino? Unfortunately, Slotastic does not. RealTime Gaming is the software provider for the casino, and the company has not yet expanded into the live dealer genre. How long do transactions take at Slotastic Casino? Slotastic supports many payment services and depending on which you use, the wait times might vary. Typically, when you deposit via any of the available methods, the transaction clears immediately. The exception to this rule is the Wire Transfer, which might take several days to be processed. Withdrawals are a different matter since the casino staff have to review them prior to sending out the payment. Online services are the fastest, with the money appearing in your account within 48 hours of being sent. Bank transfers and cheques, on the other hand, can take slightly more time. Does the casino support mobile play? Yes, the casino has a full-fledged mobile version for smartphones and tablets. It can be accessed by loading www.slotastic.com in your device’s browser. This can be done on any device running Android, iOS or other commercial mobile OS. The website is adapted to fit onto the smaller screens and retain all the functionality of the desktop version. There is no dedicated app that you have to download.